Most of us now have a smartphone in our pocket, we sometimes even use it to take photos. We can also use it to make our life a bit easier when using a dedicated camera. I’m going to take you through a few apps that I use on my iPhone when out taking photos, all are either free or low cost, and presented in no particular order. 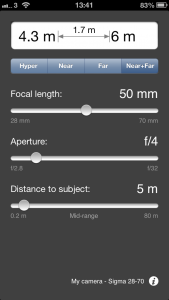 This app calculates depth of field and hyperfocal distance for you. Just choose your camera type, set up your lenses and you’re good to go. By setting aperture you will be shown the hyperfocal distance or by also entering the distance to your subject you can also see your near and far points of acceptable focus. 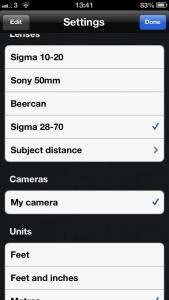 All in a good app but the need to set up lenses is a bit of a bind – you can get round this by setting up a single lens to cover your entire available focal length and aperture ranges. 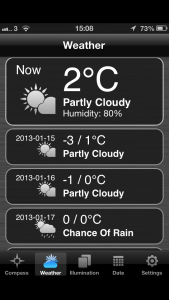 It’s been updated recently so makes use of the full screen with iPhone 5. Can also be used on iPad and iPod Touch. This is an invaluable app, especially if you use filters on a regular basis. I tend to use this alongside my 10 Stop ND filter. Simply meter your scene without the filter in the way that you would normally. 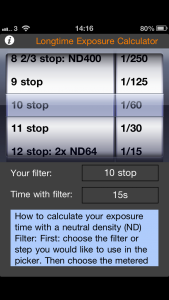 Then select the metered exposure time in the app and dial in the strength of filter and the app will then give you the exposure time to use with your filter. The calculator is quick and easy to use but doesn’t yet make full use of the iPhone 5 screen size, but does work on iPad and iPod Touch. The only other omission is that there isn’t a timer built into the app, which would come in handy for those times when an exposure longer than the camera’s timer (30s in most cases) is recommended. The stopwatch built in to iOS can be used if your camera doesn’t have a Bulb timer display. 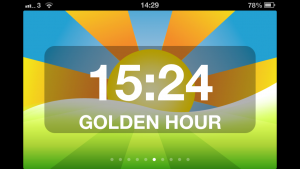 Golden Lite is the cut down, ad supported but free version of a more fully featured app Golden Hour, which at £3.99 falls foul of the very low cost qualifier for inclusion here. 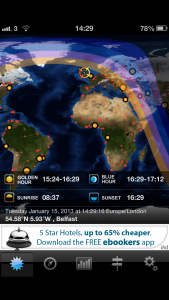 This app allows you to see where and when the sun will set or rise for any location. 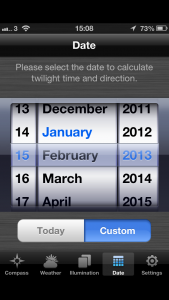 To select a different date for planning trips in advance you’ll need the full version. As you can see Golden Lite hasn’t yet been updated to take advantage of the iPhone 5’s larger screen but it will work on iPad and iPod Touch. 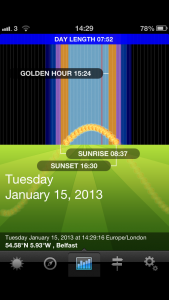 Another app that shows where the sun will set and rise. 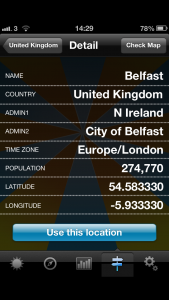 This one does let you change the date but unfortunately only gives the data for your current location. 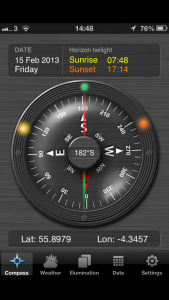 On the plus side the app presents weather conditions so you can make a decision whether to return later for sunset. 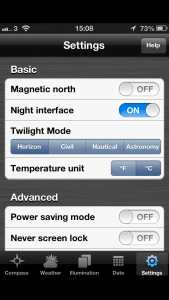 The app also has a grey card (exposure) and white card (white balance) and a torch function – handy when out in the dark. No update for iPhone 5 yet, but works on iPod Touch and iPad. If you are aware of any other apps that assist your photography then let me know and I’ll review them here. I’ll do Android apps shortly. Hi Alan, great wee bit of info above. I use a similar exposure app on my android phone for long exposures with filters. It has the built in timer you refer too. 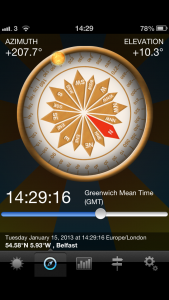 Not sure if its available on iphone, but for anyone on android its defo worth the download. I’ve recently been given a Google Nexus 7 tablet and am finding my way through the various photography related apps and plan to write a similar article for those in the not too distant future.